At Hunter River High School we are involved in creating an engaging, disciplined, caring learning place where young people work towards achieving their personal best. 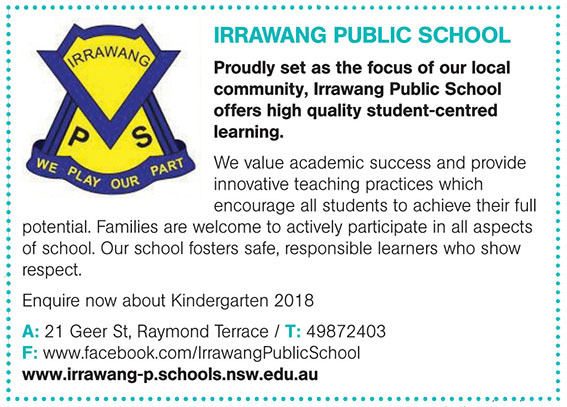 Welcome to Irrawang High School! Providing an innovative & diverse teaching & learning environment that offers a challenging, disciplined range of educational training & extra curricular experiences, designed to bring out the best in each student. St Brigid’s Primary School is a Kindergarten to Year 6 primary school providing a Catholic education for families in the Raymond Terrace area. 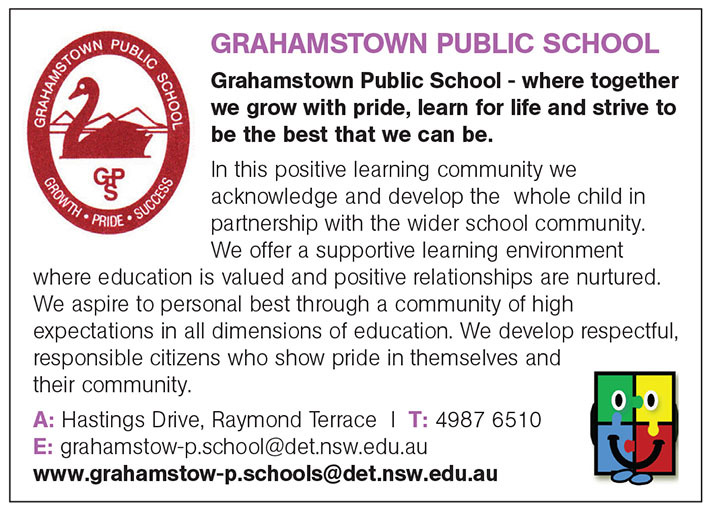 The school attracts many Catholic families who have been posted to Williamtown military facilities, as well as local and rural families. St Brigid’s strongly believes in the partnership of the home-school-family working together for the best interests of the children. The school warmly welcomes parent involvement in their children’s education through school activities and the Parents and Friends Association.